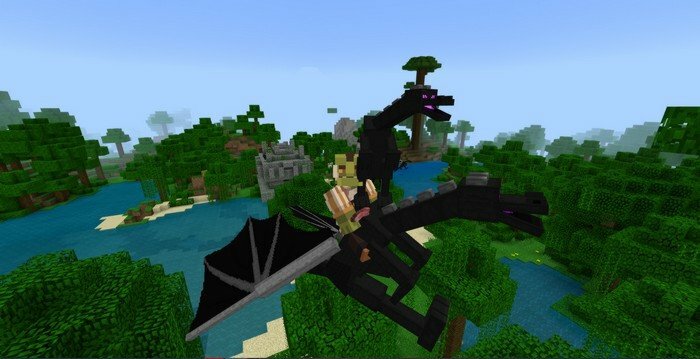 Tame and saddle your own dragon mount in Minecraft PE 1.8.1, choose from several species and flight on it all around the world. 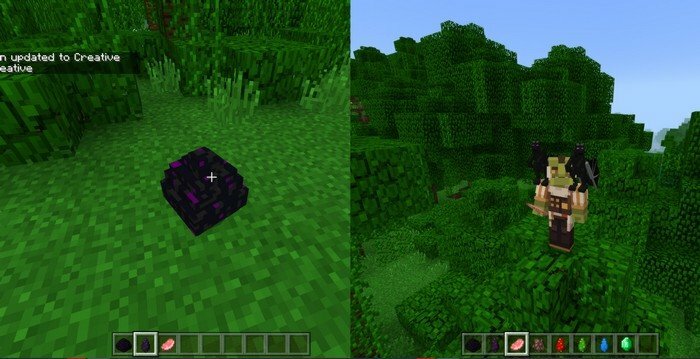 Firstly you'll need to get to the village and find a dragon seller, the egg itself will cost you 5 emeralds, and be ready to spend 5 more for fertilizer. It takes about 8 minutes of real time to hatch a fertilized egg. Now, after the little dragon hatched, you need to feed it with raw meat until it's tamed - it will end up on your shoulder. Wait some time to it to grow, feed it some more meat and you're ready to mount and fly. 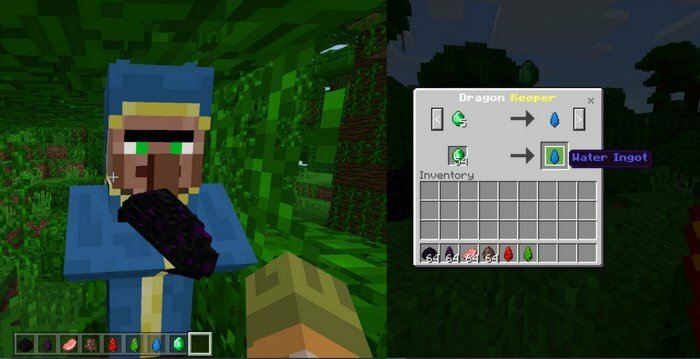 4 dragon species - Ice, Fire, Forest, Water and Ender. Grow your dragon through 3 stages. Grown dragon allows you to ride on it and protects you. It will spit fire charges on your foes.